The State government has complied with all the guidelines of the Department of Industrial Policy and Promotion (DIPP) on the Ease of Doing Business (EODB) front. “The State is comfortably positioned to retain its No. 1 slot for the year 2017, leaving behind progressive States such as Gujarat, Maharashtra, and Tamil Nadu,” said Industries Minister N. Amaranatha Reddy. The WB and DIPP laid down 372 parameters, and Andhra Pradesh fulfilled its mandate by consolidating on the reforms that were initiated in the aftermath of bifurcation. 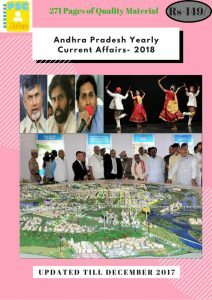 Commissioner of Industries Siddharth Jain said Andhra Pradesh had meticulously gone into 14 key reform areas, which would once again give it the edge. He stated that a common application form for a plethora of clearances, online tracking, a huge cut in the number of physical touch-points, and Public Service Delivery Guarantee Act would help the State stand in good stead, he asserted. India slipped in ‘business optimism’index to the 7th position in the September quarter, from the 2nd slot in the previous three months, showing clear signs of lag in the economy, as per Grant Thornton’s International Business Report (IBR). Indonesia is at the top, followed by Finland (2nd), the Netherlands (3rd), Philippines (4th), and Austria (5th). According to the quarterly global survey on business optimism. Indian businesses have expressed low confidence over revenue expectations in the next 12 months. Prime Minister Modi led central government given an approval of the national highway to link the Sri Fatehgarh Sahib and Sri Chamkaur Sahib. The national highway would be constructed at the cost of Rs500 croresfor connecting both the religious places. The approval 31 kilometerstretch of this national highway would be connected from National Highway-5 near Prem Nagar – Morinda – Chamkaur Sahib – Bela – Panyali with National Highway-344A. Reserve Bank of India– RBI launch a public awareness campaign through SMSes to educate public about various banking regulations and facilities available. It is the first time it uses the media SMS and emails as those used by the fraudsters. The public can give a missed call to 86919-60000 to get more information through Interactive Voice Response System (IVRS) on fake calls and emails as well as invest wisely and cautiously in chit funds. Kerala government launched a new scheme for school students named ‘She Pad’in Kerala. It will benefit the girls of classes 6 to 12 in Kerala and will be implemented in 300 schools in 114 panchayats this year. Women’s Development Corporation in collaboration with the local governments will be implementing it, this year in 300 schools. This will be expanded to all schools in Kerala in the coming years. The Maharashtra state government decided to set up a committee for the implementation of a Rs.4,000-crore project on climate resilience agriculture in 5,000 villages of 15 districts in the state. The seven-member panel, headed by the Principal Secretary (Agriculture), has been set up with a target of selecting 4,000 drought-prone villages for the implementation of the project. The programme aims to reduce farmers’ dependence on unpredictable weather cycles and enhance the resilience of agriculture to climate change and vulnerability through research and use of technology. The Union Government notified the third protocol between India and New Zealandfor the avoidance of double taxation and prevention of fiscal evasion with respect to taxes on income. The protocol updates the existing framework of the exchange of tax-related information to a latest international standard which will help curb tax evasion and tax avoidance between the two countries and will also enable mutual assistance in collection of taxes. Saina Nehwal defeated PV Sindhu 21-17, 27-25 in the final of the National Badminton Championships. With this win, the Olympic bronze medailist has clinched her third nationals title in as many appearances. Saina took the first game quite comfortably, winning it 21-17. However, Sindhu, too, fought back brilliantly in the second game, but her efforts went in vain.